What are your Family rules and values? 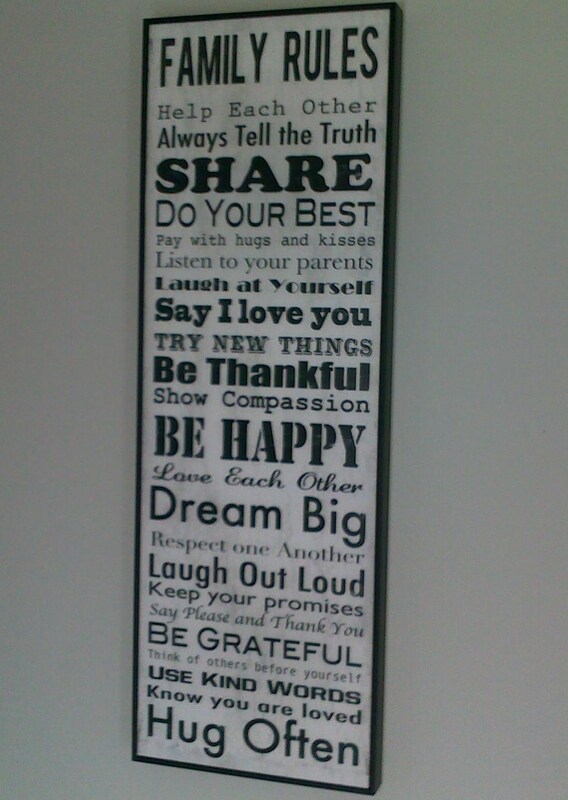 These are ours summed up on a wall hanging I got for Christmas of 2011.
we tend to tick majority of these off everyday, especially when push comes to shove, like most families. So tell me, what are your family rules and values? 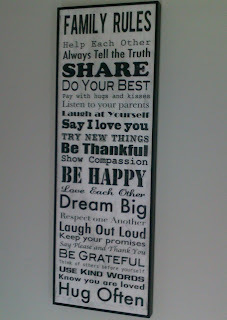 What a fabulous sign :) Great way to remind each other of what is important. As soon as I seen it, it was a must have, suits my family to the letter, first and last thing we see as we walk in and out the door of our house.